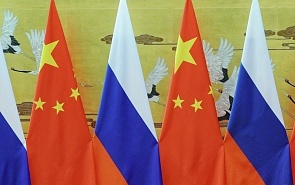 Cooperation between Russia and China is not directed against any third party, it is intended to achieve the development goals of both countries, said Feng Shaolei, Director of Centre for Russian Studies at the East China Normal University, in an interview with valdaiclub.com. According to Feng Shaolei, the Russian-Chinese partnership causes fears and counteractions from the West, which creates new challenges for the two countries: “In recent month, we could feel these challenges becoming more acute”, the expert said on the sidelines of the Valdai Club’s Russian-Chinese conference. “But cooperation between these countries does not depend on the challenges and manipulations from the West. We are working together on a basis to realize our long-term hopes and dreams of modernization. That is why we are forging very close ties”. Feng Shaolei emphasized that solidarization between Russia and China does not serve any purpose of confrontation. In his opinion, propaganda and manipulation by the West cannot undermine the two countries’ cooperation. “We will reach a deep mutual understanding within 30-40 years. We are strengthening the long-term processes of cooperation in order to cope with the most complex political and economic challenges in the future”, the expert said. The 5th Russian-Chinese conference of the Valdai Discussion Club, titled “Russia and China: Contemporary Development Challenges” was held in Shanghai on April 25-26 and was attended by more than 50 officials and leading experts from Russia and China. You can download the Programme here.